I know it’s hip to talk about the temperatures right now, but I just can’t do it. I just can’t. Especially because it’s going to be 96 freaking degrees this weekend and I want to punch it in the groin. But I’m not going to talk about it. I’m also not going to mention that it’s not even going to LEAVE the 90s until next Wednesday. Ain’t even going to utter a peep about it. But after that we should be good to go with lower to mid 80s. But you didn’t hear it from me. In the meantime, I feel like slurping soup. I don’t care how hot or cold or lukewarm or room temp or chilly or toasty or nilly or foasty it is, I’m always in for some maj slurpage, foo. I’d also like to apologize for just now saying “maj slurpage, foo.” I blame hormones. And belly bands. 1) It’s EASY. Like, really, really easy. 2) You get texture! Seared and seasoned chicken thighs, oooooooo-eeeeeeeeeeee. 3) You get more . . . texture! 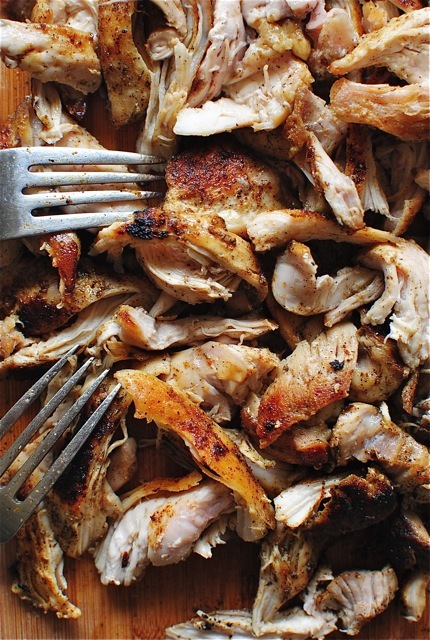 Because you shred the chicken once it’s seared, boooooyyyy-eeeeeeeeeee. 4) A lot of the bangin’ flavor comes straight from the . 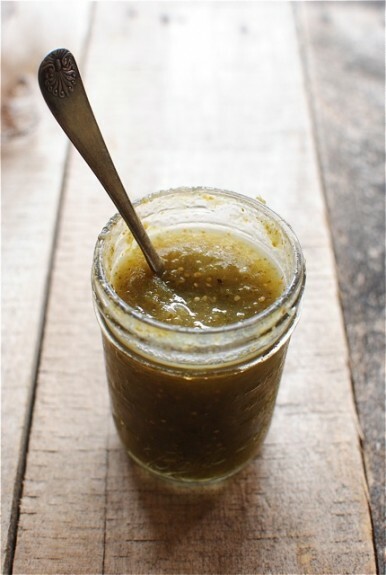 . . salsa verde! Biggidy bam. I picked up a wonderful premade jar at the grocery store and a bald eagle flew through my uterus. 5) It’s limey. It’s cilantro-y. It’s corny and beany and chickeny. I mean chickenyyyy-eeeeeeeeeeeeee. 6) And it takes like, one Laverne and Shirley, if that. And because you are an insanely talented and intelligent person, you dollop it with a little sour cream, along with 14 buckets of cubed avocado, some good grated hatch pepper cheese, more cilantro, and a bright squiggidy squeeze of lime juice. Doesn’t that feel so right? 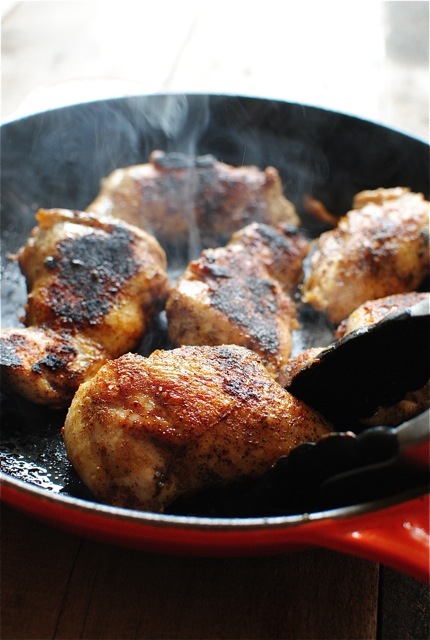 Heat the oil in a cast iron skillet, or medium sauté pan over medium-high. Add the chicken to the pan; season with a pinch of salt and pepper, along with half of the cumin and chili powder. Sear for 4 minutes. Flip and sear another 4 to 5 minutes, seasoning with the remaining cumin and chili powder, and another small pinch of salt and pepper. Transfer meat to a cutting and let rest for about 5 minutes, then shred with two forks. In a medium to large pot, add the salsa verde. Bring to a medium heat. Add the chicken stock and bring to a simmer. 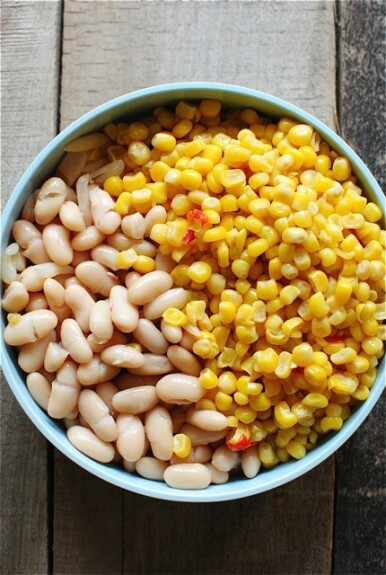 Add the corn, beans and chicken. Let simmer 5 to 10 minutes. Taste it. Yeah, let’s add the cilantro, scallions and a good squeeze of lime juice. If you’d like to add a little more salt, go rawt ahead. Simmer another two minutes. Taste it now. UM YES. 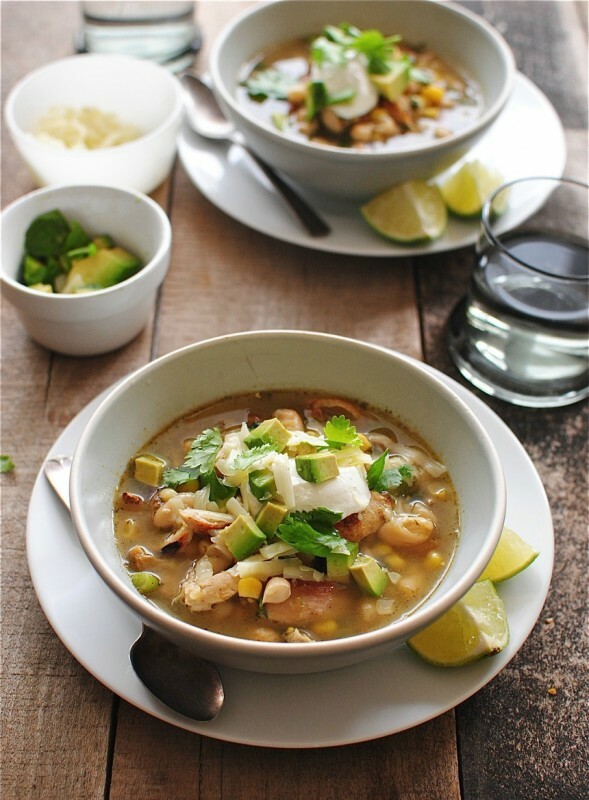 Serve soup garnished with avocado, grated hatch cheese, a dollop of sour cream, more cilantro and fresh lime wedges. You should crumble some tortilla chips up in der. omg. Ha! Well, it is so not warm here and texture filled soup this a freakin amazing! The seared chicken thighs and the corn and the salsa verde! Up, I want a big giant bowl now! I don't care what temperature it is (well, I do for the sake of your pregnant self's comfort)--I want to eat this soup. A big bowl with a blast of AC? Dude. I've been eating pho all summer. Need it. Want it. 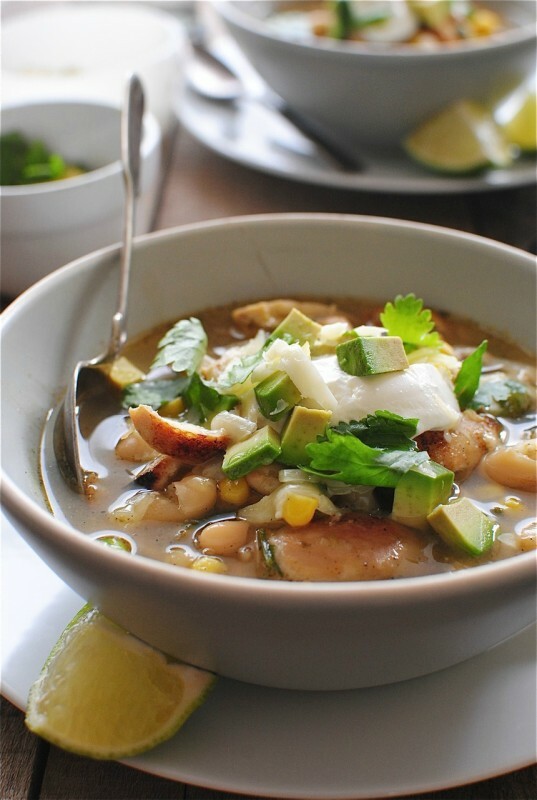 Salsa verde goes so well in soups and this soup looks amazing! Bev, this soup looks wonderful. If only this damn weather would cool down so I can make, and eat, loads of this soup. This looks like it could easily become one of my favorite soups! Beautiful pictures as always! I just crank up the air conditioning and pretend...this soup looks luscious, and the photos are fabulous. Dude, it could be 100000*F outside and I would still be all about a slightly spicy chicken soup with plenty of avocado. I say crank the AC and pass me more soup! Beautiful soup! I always put avo on top of mine too. Yum! Salsa verde has been my jam lately. LOVE. This is beautiful soup. Perfect for bringing in the gorgeous fall season. So ready for to slurp some salsa soup this autumn (and to come up with more amazing alliterations about your recipes). Looks gorgeous enough to tempt me to eat soup despite our blistering weather here in LA! you make me laugh... and you make a major good looking and sounding soup! I'm also all about soup any time! I live in Arizona where it is a gazillion degrees every day so I have to pretend it's cold out! I have a drawer full of hatch chili's I bought last week but haven't used up. My mind keeps drifting back to Chile Verde and you've just confirmed it! Made it for dinner last night...ahhmazing. Seriously, we had no leftovers haha. I did add some crunched up tortilla chips. Yum. 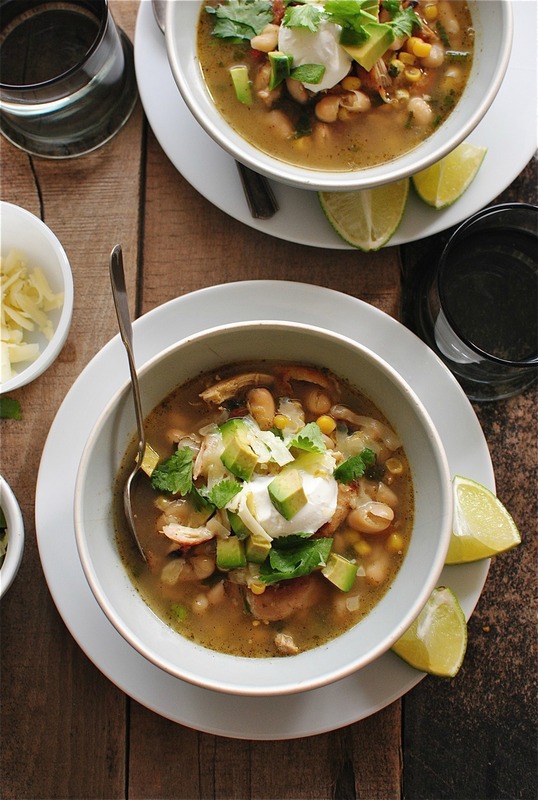 Like tortilla soup but way way better. This was my FIRST bevcoox recipe and I rocked it. I think I'm a professional chef now! JK. I substituted black beans for canellini beans because I didn't pick them up - but I loved the pop of color it gave the soup. Since I'm all about getting extra nutrients into my uterus these days, I added a diced green tomato and finely diced green bell pepper and they rocked it without really affecting the intended flavor/appearance/texture. Perfect with the avocado, lime, sour cream, and cheese on top! I'mma make it again. 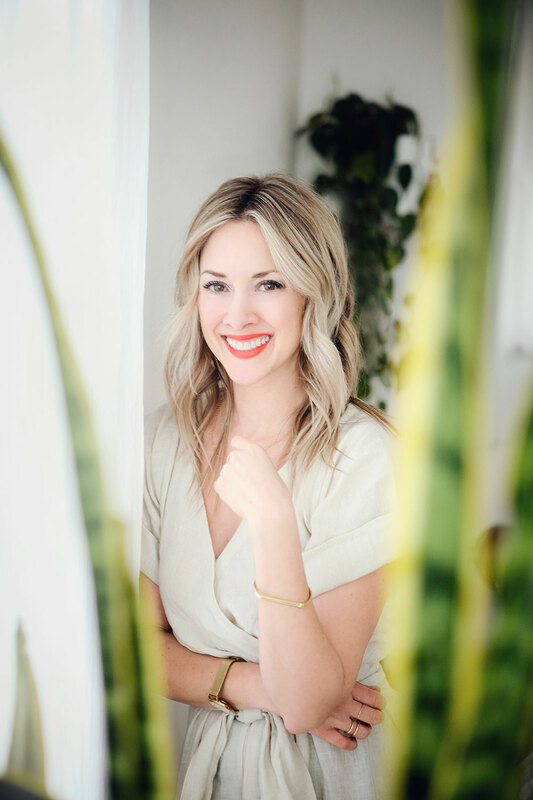 LOVE your additions and omg can I have the leftovers? This would freeze well, dont't you think? I made this for dinner last night and it was delicious! The simple ingredients come together to make a really tasty soup and the salsa verde really lends a lot of great flavor. I adapted it just a little bit so that I could just cook it in the Crock Pot and have it ready by the time dinner rolled around and it turned out great. Just had the wonderful leftovers for lunch :) Thanks for a great recipe! Just made this last night and it was AMAZEballs. Seriously my super picky husband even loved it and it was a cinch to make. It may be in the monthly rotation for good. Thank you! So delicious! I pureed half a can of beans and added to the stock and salsa to give it a little creaminess. Thanks for a lovely pot of soup on a cold day.